To play with the best of them you will have to become the very best. Are you up to the challenge? This game features 5 winning lines which you can play both right to left and left to right. 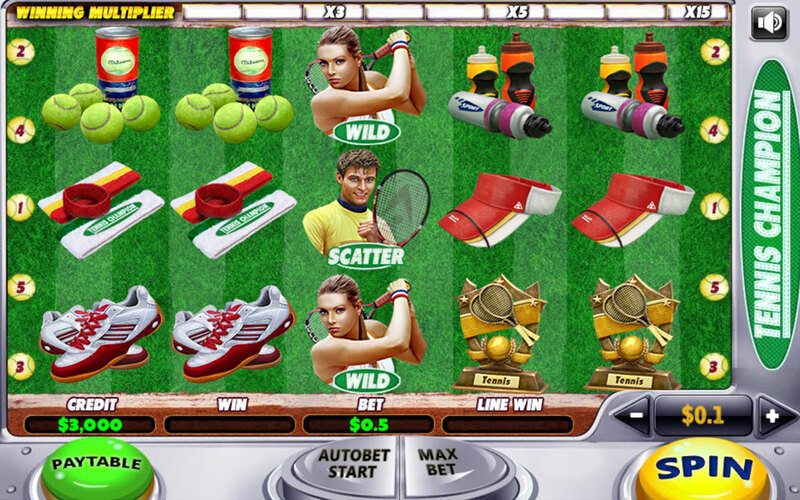 It’s a well known fact that tennis game isn’t over until it's over, in that spirit we added the winning multiplier – this feature will multiply your first win after every non-win round up to 15 times!! Just to spice things up we added the Scatter bonus - by receiving 2 scatters, you will receive your bet back, by receiving 3 or more will grant you up to 12 free spins!